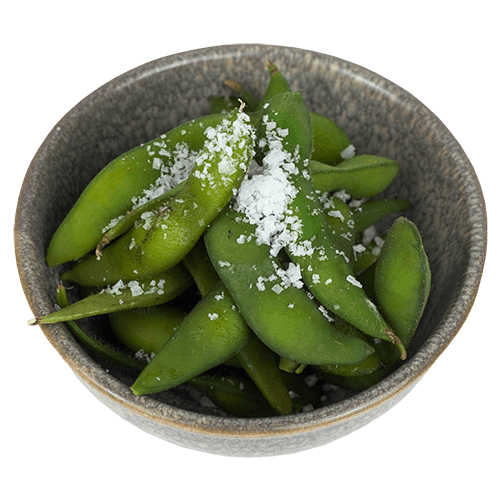 With sea salt flakes or chilli. 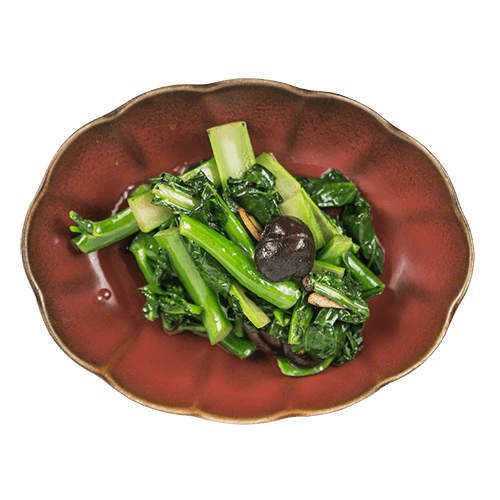 Wok-tossed kailan, Chinese leaf and pak choi with chili and garlic. With shiitake mushroom in sweet soy and garlic sauce. 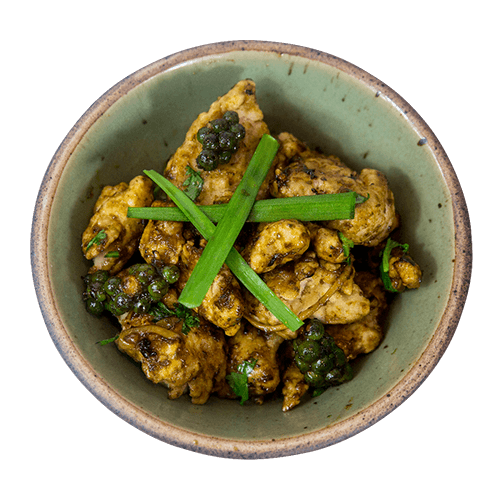 Our signature dish now fully vegan-friendly – wok tossed soya in ginger and green peppercorn sauce. 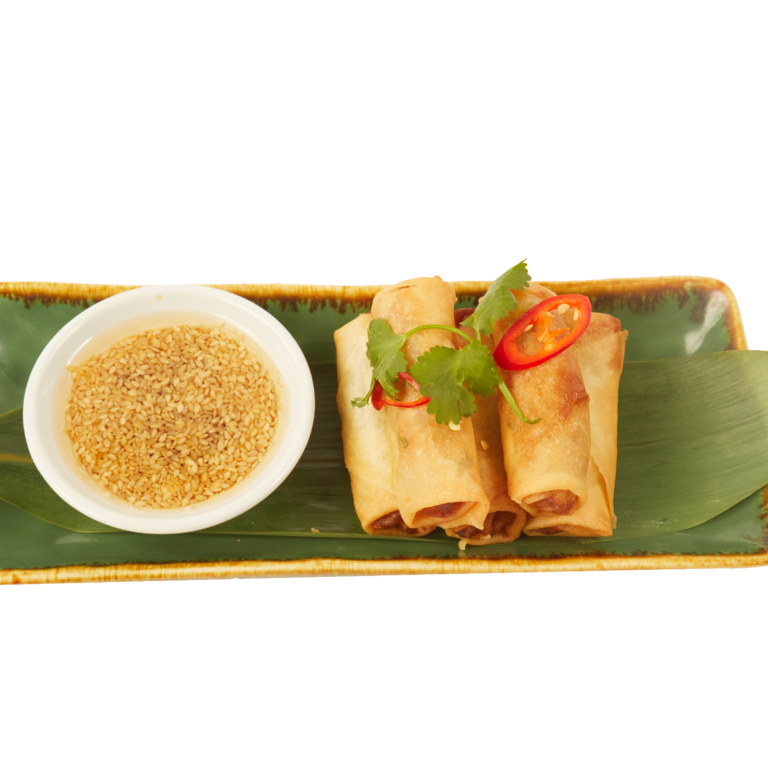 Crispy vegetable spring rolls with Thai sweet chilli sauce. 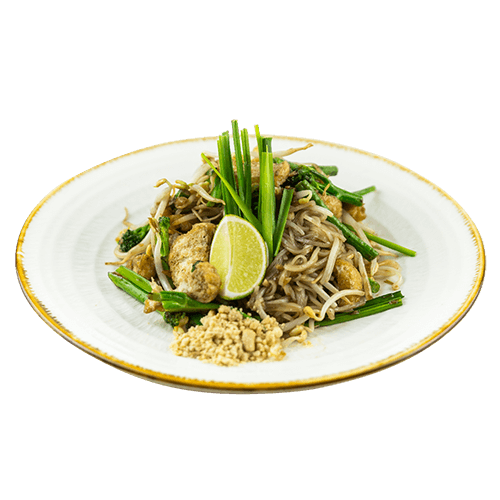 Tenderstem broccoli, courgette, French bean and tofu with pad Thai noodle wok-fried in soy and tamarind sauce topped with peanut, Chinese chive and beansprout. 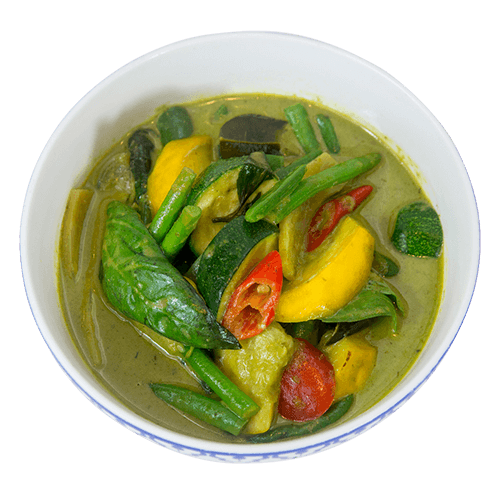 Green curry infused with lemongrass, chilli and ginger, with courgette, pea aubergine, bamboo and sweet basil. 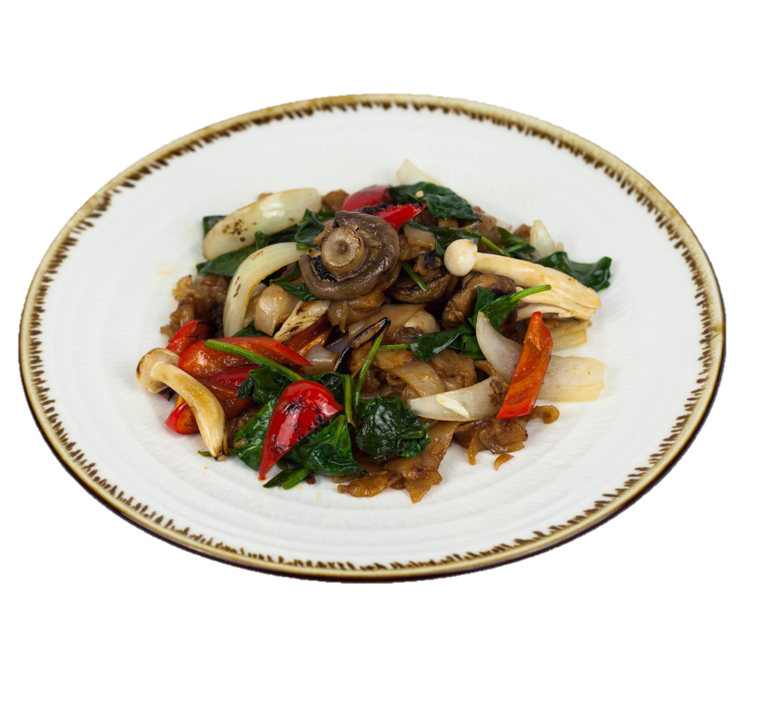 Wok-fried mushroom, red pepper and baby spinach and flat rice noodle seasoned with sriracha chilli sauce, soy and ginger sauce. 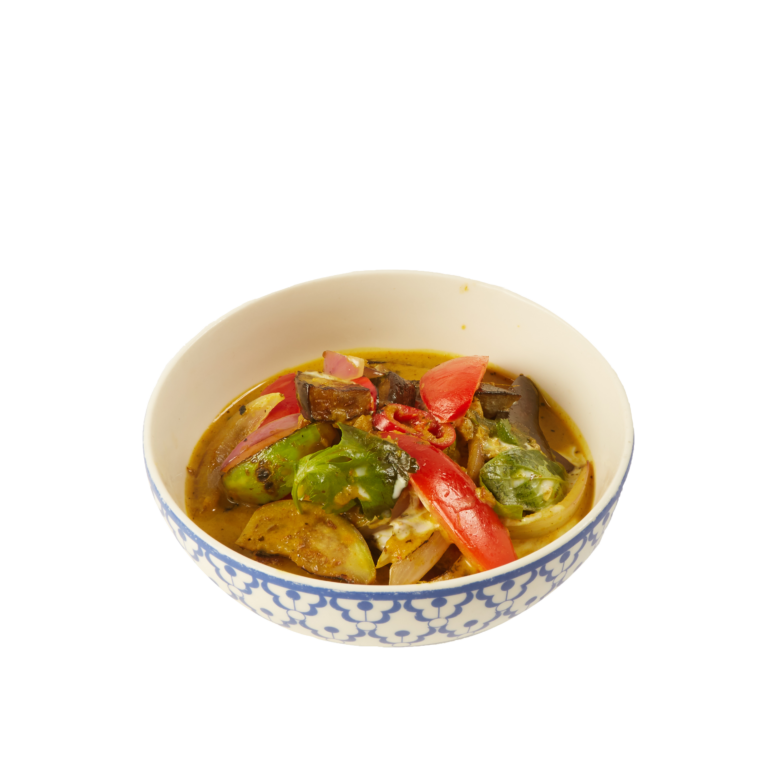 Busaba's Gan Gin Gan Yuu ethos (translated as 'as you eat, so you are') means that we define ourselves by our approach to food. 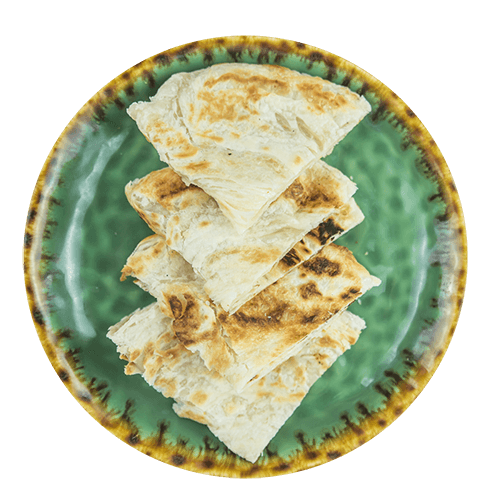 Our choice of ingredients, preparation and presentation are all indicative of who we are. Therefore we have committed to switching to exclusively free range eggs. Our whole eggs will be free range by the end of 2018 and all eggs used as ingredients will be free range by 2020.